When my husband miraculously recovered from non-Hodgkin’s Lymphoma with Central Nervous System involvement I knew I should feel grateful and blessed. I did, mostly. But a heavy blanket of depression crept over me and sucked the color out of my days. I felt as if an angry monster lurked inside, ready to lash out at any moment. I had no idea that I needed something. It took me awhile to acknowledge that perhaps I suffered from depression (after all, shouldn’t I feel blessed? Which just made me feel guiltier and more depressed). At the time, I found a good resource that helped me understand my feelings and start traveling out of the darkness. I wish I would have had Hope Prevails Bible Study: Insights from a Doctor’s Personal Journey Through Depression by Dr. Michelle Bengston. Not only has Dr. Bengston traveled through depression, she has experienced seasons of caregiving as well. In fact, her husband received a cancer diagnosis on the day her first book, Hope Prevails: Insights from a Doctor’s Personal Journey Through Depression launched last year. Dr. Bengston knows first-hand how caregiving can wear a person down and how maintaining a positive attitude of hope plays an important role in a caregiver’s life. Dr. Bengtson graciously answered a few questions about the unique challenges that caregivers face. What lies do caregivers need to be aware of both during and after a loved one’s illness? Dr. Bengtson: Caregivers need to be aware of the lie that somehow our loved-one’s well-being depends on us. It doesn’t. God has them in His hand and He cares for them so much better than we ever could. We just need to cooperate with Him. We also need to be aware of the lie that will scream that their healing isn’t permanent. Only God knows. So, we rejoice in the promise that God says that by His stripes we are healed. We don’t know if that will be this side of heaven or not, but we thank Him that God’s ways are best. Caregivers also must be careful to guard against the lie that says that more we do, the better off they will be, or that no one can care for them as good as we can. We need to take time to rest ourselves so that we can care for them. And sometimes resting means delegating or allowing others to step in and help. As a cancer caregiver yourself, what extra advice would you give a caregiver who struggles with hopelessness? Go to Him. Share your burdens. He wants to help you carry them. He wants to be your strength. You do not have to go through this alone. Even when friends and family do not understand, he does! If you act as a caregiver to someone, I strongly recommend that you read this book as preventative maintenance! Traveling through a caregiving journey calls for extra fortifications—something this book provides. 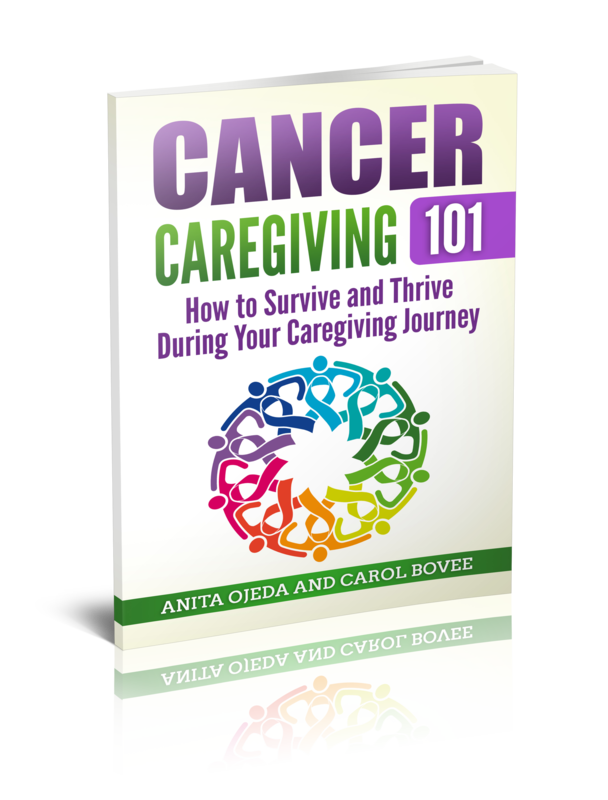 If you know a caregiver, consider giving the book to them as a gift. Often times caregivers look fine on the outside, but inside they feel lost and abandoned. The easy-to-use and understand Bible study takes the reader on a journey of hope. I found the play lists of hope-filled songs especially helpful. Dr. Bengtson has curated a wide variety of Christian music artists to help lift the listener’s spirits throughout the day.